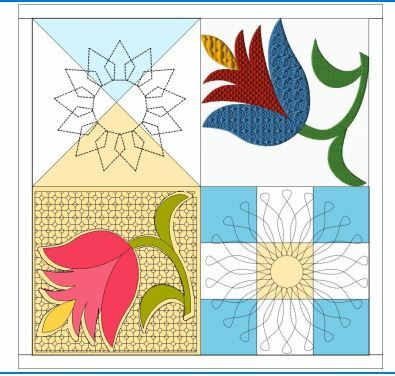 Learn how to take designs created in Electric Quilt 8 over to Art & Stitch Base and Plus, to your Brother Scan-N-Cut, your embroidery machine, and to Pro-Stitcher and onto a fabulous quilted creation! You'll be amazed how these programs work together! ​This class is JAM PACKED with creative possibilities! This is an Intermediate Skill Level Class. You should have a good beginner understanding of these programs. A&S Plus and Brother SnC are not required, but are included for those with lots of quilting toys! Once your transaction has processed, you will receive an email confirmation and shortly thereafter your Account will be linked to the corresponding Class Page for access to your videos.